Vloggers, social media stars and other digital influencers must disclose all paid-for relationships clearly in any content they post, according to new international guidelines issues. 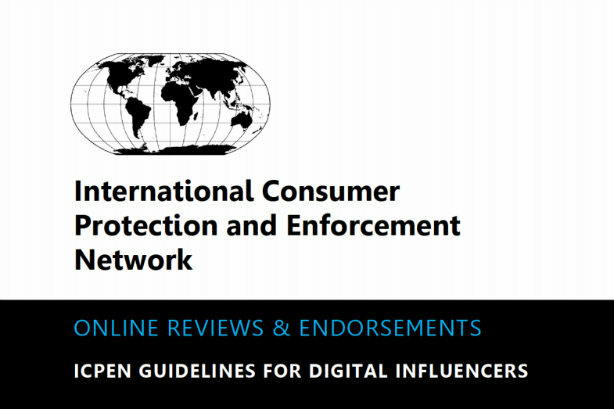 The International Consumer Protection and Enforcement Network(ICPEN) has today published three sets of guidelines on online reviews and endorsements. It comes after research revealed earlier this month that marketing professionals are increasingly more likely to use social media influencers than more traditional celebrities in campaigns. However, there are concerns about the transparency of such partnerships, and regulators in individual countries have increasingly focused on the topic. In separate guidelines for traders and marketers, there is a clear instruction not to "write, commission, or publish fake reviews". This includes instructing employees, family or friends to write a positive review about their business, or a negative review about a rival. Brands publishing online reviews must also be equal and fair in the collection of reviews, as well as be transparent in how they are published, the third new document, the review administrators' guidelines. say. The network of consumer protection authorities from nearly 60 countries said the guidelines provide "simple dos and don’ts" for review sites, traders and online influencers (bloggers and vloggers). The UK’s Competition and Markets Authority, which has presided over ICPEN in a one-year presidency for the last 12 months, will hand over the presidency to its German counterpart tomorrow (1 July). Nisha Arora, the president of ICPEN and senior director at the CMA, said: "It’s more important than ever that consumer protection agencies work together to tackle common problems and ensure that businesses, wherever they are based, deal with consumers fairly. "The guidelines on online reviews and endorsements that we have published today send a common message from consumer agencies across the world to businesses, wherever they are located. This is just one example of how ICPEN is bringing enforcers together to protect consumers worldwide."